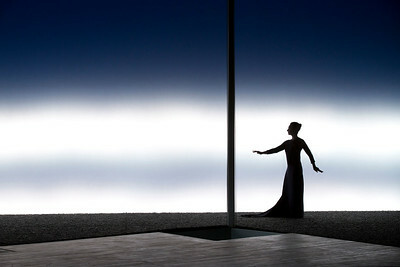 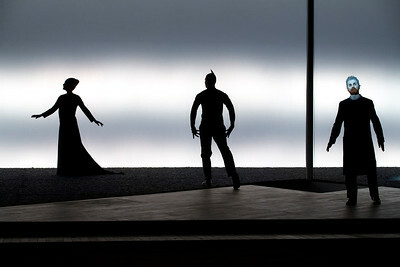 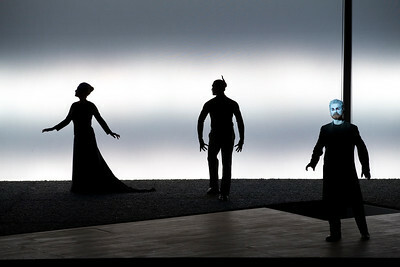 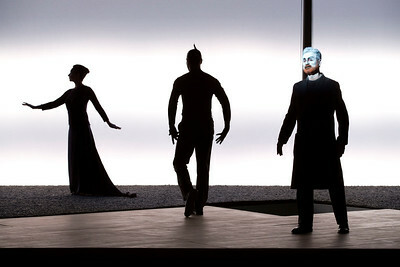 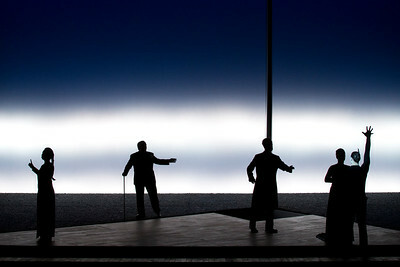 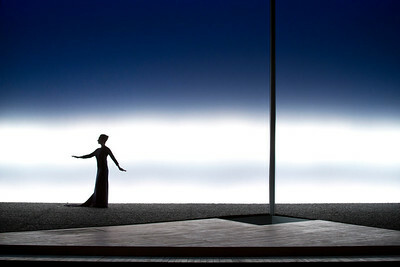 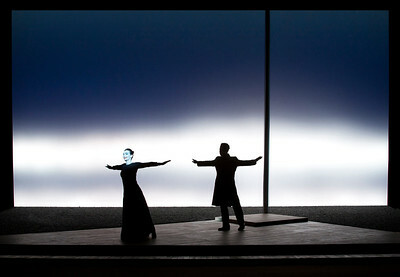 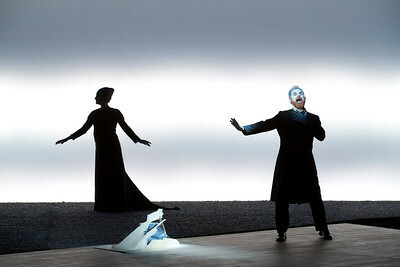 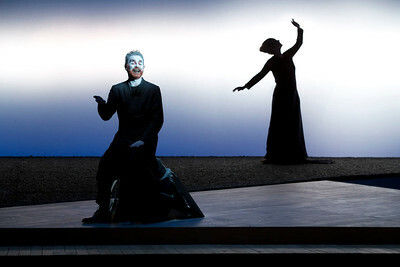 Susan Sontag wrote the adaptation of Ibsen's classic play for Robert Wilson, a modern exploration of this story of Ellida, a woman whose early life had been one of great personal freedom living by the wild Norwegian sea with her father, who, after his death, marries an older widower with two daughters and finds herself trapped, far from the sea. 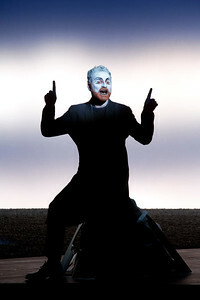 Michael Galasso's music is the base for a soundscape that unites adaptations of traditional Scandanavian folk songs, his own unique violin, and sounds of the sea, the cries of gulls. 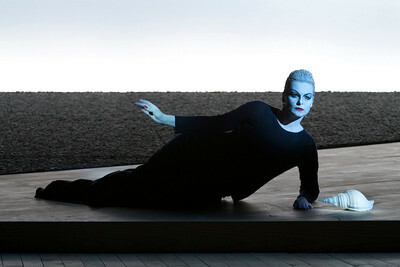 The costumes by Giorgio Armani reflect the many colors of the sea, and a simple, elegant wooden set reminds of the deck of a ship, where shifts of scene are indicated only with the addition of a sail-like cloth and changes of the light. 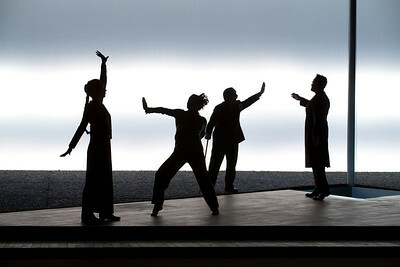 Six actors play in this adaptation of a story written a century ago in Norway that has proved accessible to modern audiences all over Europe. 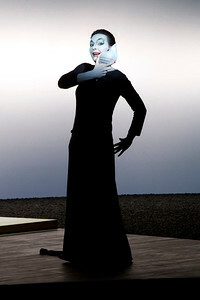 Originally staged in Italy (1998) with Dominique Sanda in the main role, it was remounted in Korea with a company of Korean actors where it proved the surprise hit of the Seoul Theatre Festival, the first of Wilson's works to be seen in Korea. 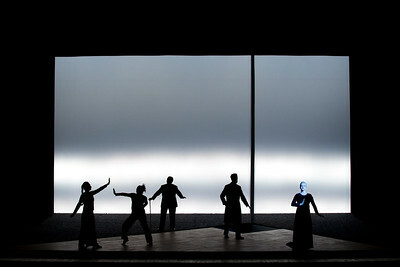 It was subsequently staged at the Teatr Dramatyczny Warsaw with a new cast of Polish actors and held in repertoire there for two years. 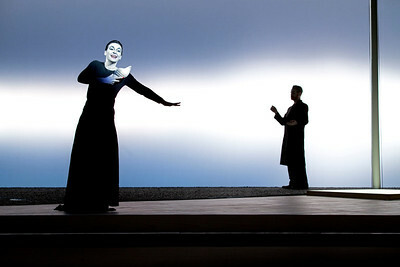 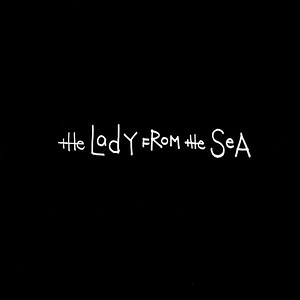 In 2008 a new version was produced with an entire Spanish cast, the role of Ellida interpreted by famous actress Angela Molina, before the Brazilian cultural center SESC commissioned a version in Portuguese in 2013.